Question of the Week – When it comes to haircare, what types of styling products do you use on a daily basis (if any at all)? Answer – I wash my hair every day and usually spritz a bit of Elnett on my fringe to keep my cowlick under control but that’s about it! we heart this – has an instant win game for you; Beautisol self tanning mousse and their FAB applicator mitt. It’s like a beauty lottery scratch off card, you could win in seconds! Beauty Junkies Unite – With each season, I fall more in love with the exclusive beauty brand, jouer Cosmetics. See what really got me going for spring! Clumps of Mascara – is giving away a SensatioNail gel nail starter kit. She was a skeptic when it came to at home gel nails but this kit is some kind of awesome. EauMG – Want to know what an angry rose smells like? Check out this review of the newest addition to the Juliette Has a Gun family. Gouldylox Reviews – Would you consider letting a medical professional stick your face with hundreds of needles if it mean fewer fine lines and scar indentations? Check out my results (and gnarly after photos). 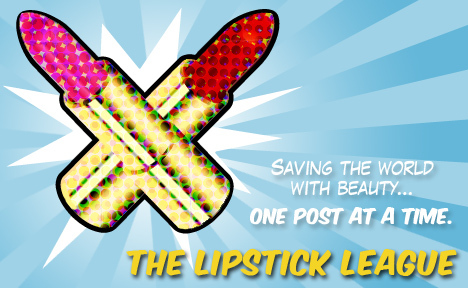 Lipglossiping – puts the new Kiehl’s BB Cream under the microscope. Will it out-perform her favourite (now discontinued) Kiehl’s Tinted Moisturizer? My Beauty Bunny – has a look (and swatches!) at the new Spring 2013 colors from cruelty and Big 3 free Sheswai Lacquer. Wait to you see Ladylike – it’s my new favorite polish! Nouveau Cheap – The new Hard Candy All Lid Up créme eye shadows have inspired me to break out of my browns and taupes and bring more color to my springtime eye looks. Pink Sith – shows you a highlighter from Lancome that has been discontinued. But do not fret. She is giving one away to one lucky reader. Maybe you! Enter today! Prime Beauty – tested out Olay Regenerist Micro-Scupting Cream and found the claims are true! It performs like luxury skincare products four times the price! Look your best with Olay and enter to win 1 of 5 jars of Olay Regererist Micro-Sculpting creams from Prime Beauty! Phyrra – shares her tips and tricks for the best photography and video equipment for beauty and fashion bloggers. From handbags to cellphones and lights, she’s got you covered! Guest Post of the Week, as chosen by we heart this – We’re always blown away by The PolishAholic; from her flawless manicures to her amazing photos, Jen’s got skills! Plus, she always introduces us to new indie brands like the LA based wHet.